Floravista @ Floraview is the newest hype of contemporary living that highlights luxurious accommodation with convenience and style. 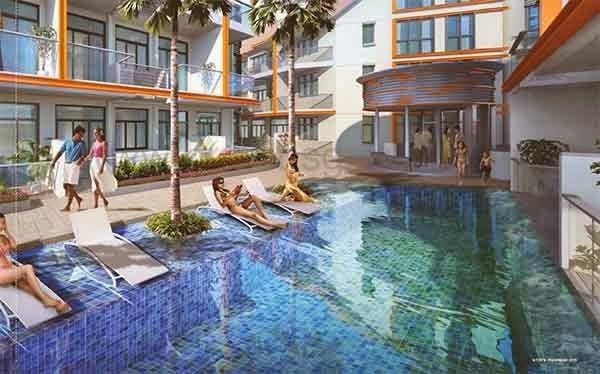 It consists of 90 residential units and 29 commercial shops within the 5 storey high of remarkable establishment exceptionally designed and developed by the prestigious Oxley YCK Pte Ltd.
All residential units are well furnished with exquisite interior and exterior to satisfy your cosmopolitan lifestyle. Commercial shops are strategically established with a wide array of tempting offers and services to cater to your every need. The luscious surrounding adds to the laid back atmosphere of Floravista @ Floraview allowing you to marvel at the beauty of Mother nature right at the comfort of your own space. Floravista & Floraview is availbale for preview by appointment. View Floravista & Floraview brochure or floor Plans for a feel of this development. You may hotline or register using the form below to secure an appointment with us.